Windows Phone 8-specific Xbox Live games. Since the launch of Windows Phone 8, there aren’t much Xbox Live games being in use by the game lovers. This is because these games are seen getting mired with the certification woes. However, sooner or later, these issues are going to settle and soon the Windows Phone 8 gamers would be enjoying these games experiencing a new fun and entertainment, which are hard to find with the others. Till the dust settles down, checking some of the windows Phone 8 –specific Xbox Live games could be a good idea to go with. Well, let’s check them out in the following paragraphs. 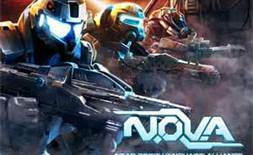 Play NOVA 3 alone or try the multiple player option and have a great fun playing with family or friends. It could be called the first sci-fi person shooter game for Windows Phone 8 users, which involves a number of exciting activities including the piloting a Mech, who is seen manning a turret found over a moving vehicle along with giving you the incredible sniper coverage for the NPCs. The touch screen control given in NOVA 3 are considered as pretty intuitive in nature, while the gyroscope aiming is also being targeted by the gamer over this game. You have both the choices; either you play alone or try the multiple player option and have a great fun playing with family or friends. Another worthy Windows Phone 8 specific Xbox Live game is Shark Dash for the game lovers. It is basically a physics game wherein you can find a toy shark, which is supposed to eat the rubber ducks simply to save his girlfriend who seems in danger. The player has to aim the shark and launch this toy fish, which makes the shark to bounce over a certain level thus allowing the fish to knock them down along with eating the same. It has the feature of Play, Pause and Resume, which makes it compatible to the Windows 8, based device. You must have played this game over iOS based devices and the Apple users simply loved this game. However, this game is seen with more enhancements for the Windows based phone devices. These include incredible graphics, intuitive kind of web swinging controls, high quality story scenes. The console version of this game is different from the real version of this game. The playing experience over Windows 8 based devices would be incredible for this Xbox Live game. You will certainly have big time trying this latest version over your Windows Phone device. So, don’t miss playing it. There were several flaws found over the Xbox Windows Phone 7 games, which are being simply wiped out with the game called Order & Chaos Online. It fixes the flaws in a big way; hence it is termed as the MMORPG apart from being called as RPG. The players while playing with their friends or family could have the best time while venturing this game online. You get incredible amount of real time fun while combating the enemies and finish all the quests. The iOS version though seemed rich graphically, but with Windows Phone 8 version it seems more enthralling for the gamers. With few of these games released and others about to embark in the market for the Windows based Phone users, the experience of playing these Windows Phone 8-specific Xbox Live games would be incredible. So if you haven’t heard of these games, try checking them out (the available ones) and have some of the most exciting gaming experience. Enjoy! Sports Techie, Thank you Claudia for sharing your blog about the Windows 8 phone and specific Xbox Live games. We are based in Seattle and have a natural affinity for Microsoft. My family grew up down the street from the main campus in Redmond. I know many folks associated with Microsoft one way or another and they use the Windows 8 phone because it is a nice company perk. Playing games on Xbox Live games is incredible and from what Claudia says, now that the certification process has matured, we can look forward to more gaming publishers migrating to the Windows phone platform. According to Claudia, glitches that are in Xbox Live Windows 7 games have been identified and fixed. Windows 8 for the PC has touchscreen control functionality so finding out about that gaming feature in NOVA 3 for the Windows 8 phone is fantastic. Near Orbit Vanguard Alliance (NOVA) is finally back on Earth, Kal has to fight hard to save humanity from destruction. Shark Dash is a game any person or family can play while traveling in the car, or while at home as a second screen. Kids have loved playing Spider Man in video games for several generations, it has gaming history and innovative playing features. Playing Spiderman in the Windows 8 Xbox Live environment will be a natural fit for the busy or not so busy lifestyles of children and adults. Order & Chaos Online might prove to a gamers delight on the Windows 8 phone because of the more realistic gaming environment that the mobile device and X Box console produces. Microsoft obviously believes in the Windows 8 phone and continues to squeeze out a respectable user market share. The Xbox Live is in a class all by itself right now with a majority of Sports Techie gamers. Not sure how the Surface tablet fits in but you can be sure that it will in their long-term corporate plans. It would seem to make sense then to take a hard Sports Techie look at this inner Microsoft collaboration if you create games for the smartphone, or are a serious or casual gamer. Its a wonderful time to be a Sports Techie gamer. Playing MMORPG and individual games over the Internet or with your smartphone has never been so seamless and easy. 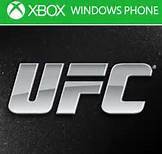 Creating games for the Windows 8 Xbox Live ecosystem, and playing fun games on them like UFC, are both wise ideas. That last line was a Jedi mind trick.